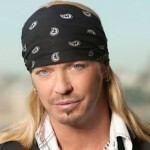 Rocker Bret Michaels is set to ring in the new year with a live performance at Universal Studios Orlando! The Poison frontman and reality television star is scheduled perform a live New Year’s Eve concert at Universal’s CityWalk in Orlando, FL, part of the Universal Orlando Resort. Tickets are now on sale for the New Year’s Eve block party event, which includes the Bret Michaels concert, as well as all-night admission to seven CityWalk clubs, all-you-can-eat gourmet cuisine, and a midnight champagne toast. Universal CityWalk’s New Year’s Eve celebration will take place from 8pm – 2am on December 31, 2010. Tickets are $119.99 plus tax per person if purchased by Dec. 27; from Dec. 28 to Dec. 31, the price increases to $139.99 plus tax per person. Special discounts are available for Universal Orlando Annual Passholders. For more information or to purchase tickets, visit www.universalorlando.com/holidays and click on the “New Year’s Eve at Universal CityWalk” button on the left.